"We get an insight into the ritual filled life of a humanoid barbarian settlement trying to eek out a living on the ruins of a civilisation and fighting for survival, fighting with their fears, trying to live through all things fate brings on to them. Fate which sometimes brings good things, love, joy, and sometimes brings sadness or death. A girl whose life was meant to be short, can feel truly happy for a moment, when love makes her forget all bad things, and makes her believe in a life that can be different, can be better. But Fortune is fickle and cruel. She doesn’t care about the beauty of the moment. Living through disappointments, joys and fears we can learn much more about ourselves, our own fates and chances – about our own humanity." The classical music repertoire of the company consists of theatrical dances based on the works of composers such as Tchaikovsky, Stravinsky, Bartók, Orff, Eötvös, and the company’s varied repertoire also contains choreographies composed to musical montages. Beside the leading choreographer Tamás Jurionics, several renowned European choreographers created modern art dances for the company. In 1993 they picked up the name Szeged Contemporary Dance Company, with appointing Tamás Juronics as artistic director and András Pataki as executive director. Since 2000 the Szeged Contemporary Dance Company is working as an autonomous company in a form of prominently public benefit foundation. Besides their national successes they have won the recognition of the audience and professionals while performing abroad on diverse occasions. Tamás Juronics had an outstanding role in forming their especially unique artistic identity. He considers the continuous training of the dancers and the enrichment of the repertoire to be his most important task. The ability of reception and individualization of the contemporary and modern technics, the high quality of the artistic expression based on the technical safety makes the repertoire to be incredibly various, yet unique. Among the peculiarities of the artistic characters we should emphasize the diverse effect-elements of performing styles that compose originality. Respecting the ‘laws of stage’ is a defining attribute in their shows, so is the using of theatrical means - in the literal sense of the word - that are enhancing the effect and intensity of vision. 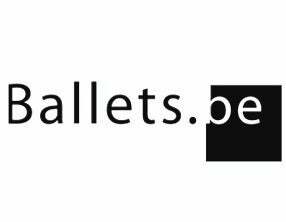 The Szeged Contemporary Dance Company is a constant guest of local and oversea dance stages. The company itself and its dancers has also been rewarded by international and national, vocational and as well audience prices. During their tours the ensemble played in 22 different countries 134 times in the last 22 years.